Accident reports show that as many as 90 percent of industrial accidents are attributable to human error. But poor procedures and processes can make those human errors well-nigh inevitable, especially in the world of hazardous work. And that’s why teams involved in non-routine work need to implement stringent work controls to keep everyone safe and reduce risk. Of course, risk managers know this well. After all, they’re usually at the forefront of this effort, helping to develop and document measures that go far beyond run-of-the-mill safe work protocols (for more routine jobs). What’s one of the chief formalized control of work steps teams can take? Perhaps, the most important measure to control the health and safety risks associated with non-routine work is developing an effective permit to work system, a formal written system used to control certain types of work identified as potentially hazardous. Those types of high-risk jobs usually include (but are not limited to) hot work, confined space entry, maintenance activities, carrying hazardous substances, well work, pressure diving, electrical or mechanical isolations. The actual permit to work system is just a set of documented processes that ensure dangerous work is done safely. The permit in question merely licenses the crafting and implementation of continuous risk control measures (through the duration of the job). And the resulting system serves to create approved contours around the hazardous work undertaken, defining the exact work to be done, when, where, and for how long it will be done, as well as specific precautions to address associated hazards and risks. Sounds simple enough. But the framework couldn’t be more important for doing high-risk work safely. Indeed, the system offers crucial, lifesaving benefits. For one, permit to work establishes a critical chain of communication between hazardous work stakeholders. More than anything, formalizing communication (along those bases) guarantees that the right people consider risk and take suitable precautions. Aren’t those stakeholders already in conversation? You’d be surprised. Turns out, the principal parties involved in hazardous work don’t often coordinate on risk mitigation efforts with the same level of detailed focus as that demanded by the permit to work process. Finally, a non-trivial number of post mortems of high-risk sector incidents cite a lack of thorough multi-party coordination, i.e. human error, as contributory. They often call out the breakdown in coordination of hazardous activities among stakeholders. Indeed, installing and maintaining a permit to work system alone won’t make those dangerous jobs safe for crews in high-risk sectors. Still, it’s an invaluable step within the larger control of work framework. And to learn more on how to bring permit to work best practices to your organization, download our guide. Henry P. Shotwell, Ph.D., Atlantic Environmental Incorporated: Human Error Is Not the Real Cause of Accidents. Mehdi Jahangiri et al., Safety and Health at Work: Human Error Analysis in a Permit to Work System: A Case Study in a Chemical plant. 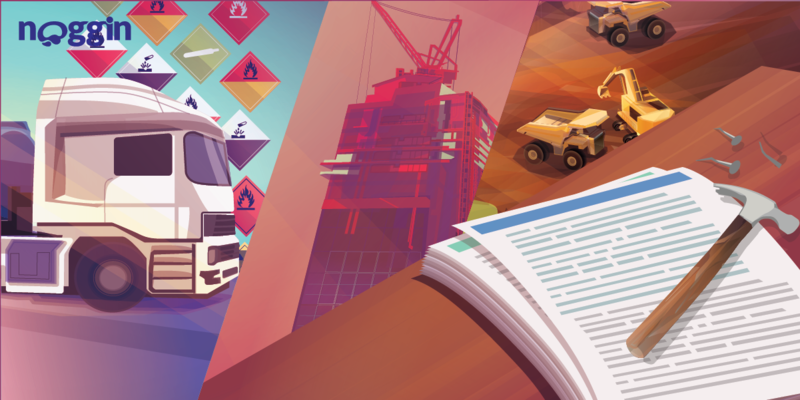 Health and Safety Executive: Guidance on permit-to-work systems: A guide for the petroleum, chemical and allied industries.